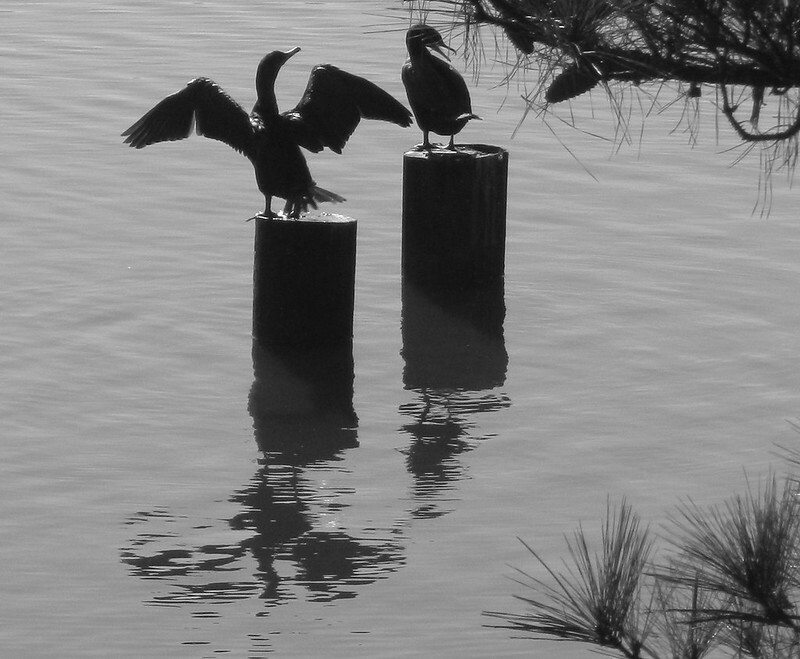 I couldn't decide whether to use my frosty leaves or cormorants for a black and white post. I decided to use both shots. Two wonderful shots! I like the reflections in the bottom one. I like both photos but the frost one is awesome. I can't imagine how you could choose; both are perfect pictures. The big difference is that even I might imagine the cormorants would look good in black and white; I would never ever have thought of how exquisite the frosted leaves would look that way. good decision. both are really nice in b/w. happy new year. Both photos are good, and so different. Glad you posted them both. 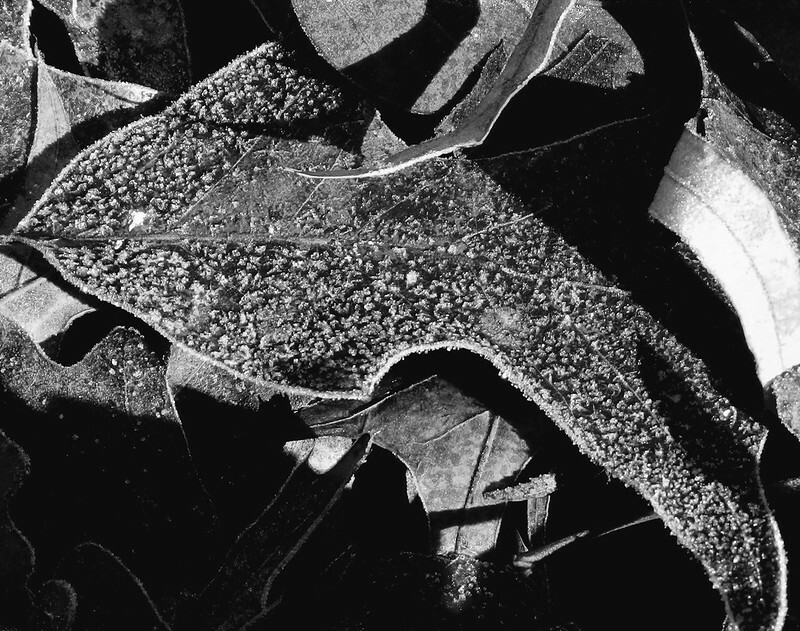 Great photos in B&W, Carver, and I especially like the second one! Gorgeous pictures as always ... happy new year Carver. Very well treated. I liked the second one more.